Melbourne's very own 3D art gallery ArtVo introduces weekly Saturday night live entertainment into their calendar over the next couple of months and you are invited along to join in the craziness. If you've yet to visit ArtVo in District Docklands, this is a gallery featuring large scale artworks painted directly onto the wall, allowing you to interact and position yourself in a way that makes YOU part of the art. ArtVo recently introduced late night openings allowing visitors to enjoy the art after usual business hours. Now the gallery has gone one step further by adding live entertainment into the mix, every Saturday night until 12 May, 2018. White Rabbit as he scampers madly about the Artvo Immersive Gallery meeting and greeting guests. Be quick and snap a selfie with him as you interact with over 100 large scale paintings where you are part of the art! Immerse yourself in the vibrant and colorful world of Bollywood and join Sapphire Dance as they shimmy and sparkle in a special performance at Artvo Immersive Gallery's World Tour zone. Snap the ultimate selfie with a 3D Taj Mahal as your backdrop and be part of the cultural extravaganza! Dive into the action as acclaimed circus stars Splash Test Dummies present an aquatic acrobat duo at Artvo Immersive Gallery's Aquatic Adventures zone. They're ready to roll out the beach towels and spring into splish splashin' circus fun for the whole family. It’s comic culinary chaos! 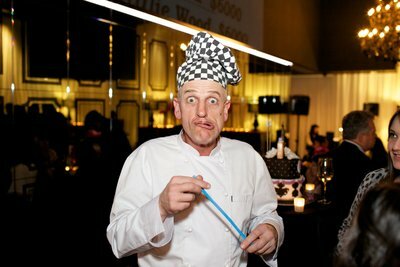 Join our Crazy Chef as he spices up the action spinning plates, juggling knives, singing, dancing and generally cooking up mayhem! Follow him as he tours the world at Artvo Immersive Gallery through 11 different themed zones. It’s one lip smacking adventure! Hello Possums! 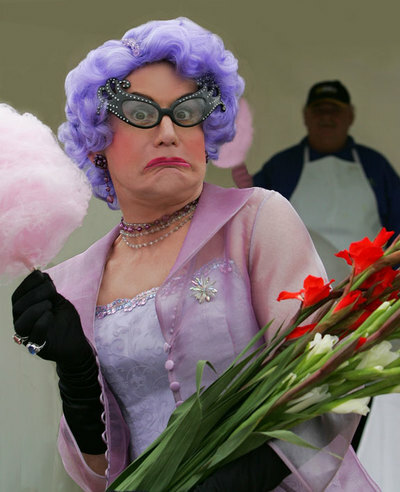 Grab your sparkly cat eye glasses and head to the Australiana room at Artvo’s Immersive Gallery where you will be entertained by a Dame Edna impersonator so real you’ll swear she’s true blue. Legendary housewife and personal friend of the Queen’s, this is one Dame that will keep you in stitches. Meet, greet and snap a super selfie with the megastar herself amongst iconic 3D Australian landmark paintings that put you in the art. Get Ready to Rumba! 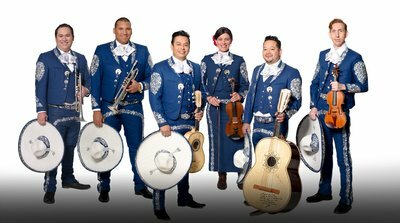 Celebrate Cinco do Mayo with one of Melbourne’s most renowned troupe of Latin American troubadours, Mariachi Los Romanticos, as they roam through Artvo’ s 11 themed art gallery zones and serenade guests with a cavalcade of spanish classics that will have you saying Ariba! Pull on your marching boots and step in line! The Colonel takes up his command post in Artvo’s Jungle Safari Room and will be regaling guests with tall tales of big adventures, epic battles and leading his troops to victory. Snap a selfie with King Kong, a giant leopoard, or a frolicking elephant and you will be his new recruit! Interact and be a part of the action including snapping stunning selfies amongst spectacular large scale 3D artworks that put YOU in the art, and enjoy live entertainment along the way!